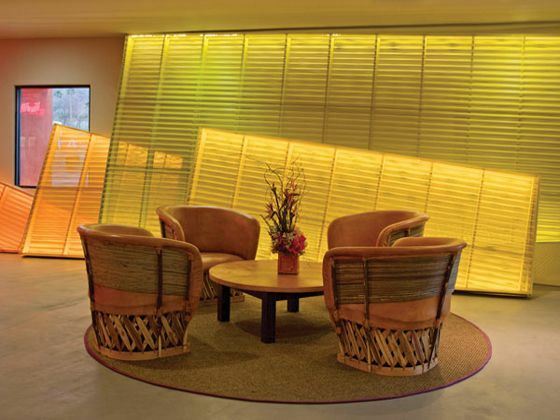 There's plenty to do in Scottsdale and this hotel is conveniently located so that you can see as much as possible. You can be adventurous and go to Camelback Mountain or the McDowell Sonoran Preserve where you can hike, go rock climbing, or mountain biking. If you want to take a break from exploring then you can shop at the Scottsdale Fashion Square. 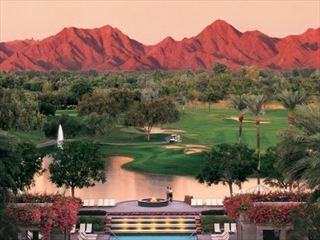 Scottsdale is also one of the best places to be in America for playing golf. 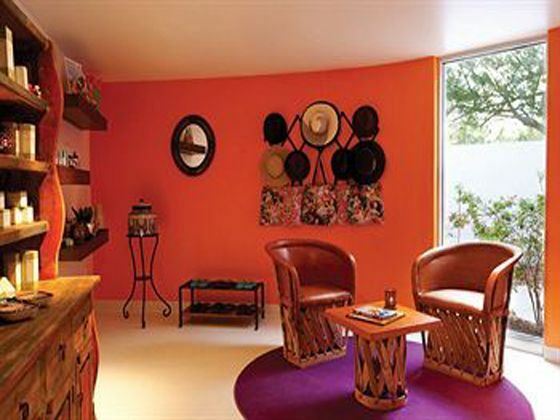 Bright, lush and vibrant and inspired by the contemporary architecture of Mexico and the Arizona desert, The Saguaro is one of the most unique, luxurious and sophisticated hotels Scottsdale has to offer. 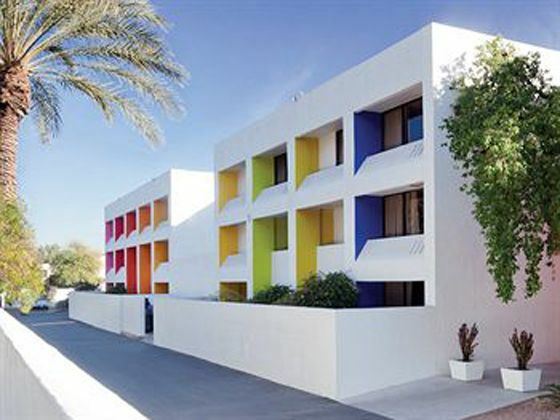 Situated in Old Town, this contemporary hotel is just a short walk from the Scottsdale Centre for the Performing Arts and within three blocks of over 109 restaurants, shops and galleries. 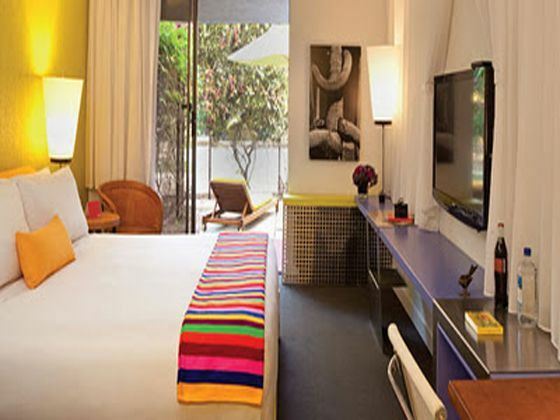 Every room has a modern and bright decor with a playful splash of colour, funky photos and artwork and modern amenities, with authentic, traditional Mexican furniture and an outdoor patio or step-out balcony providing lovely views. Dine at La Senora, with fantastic Mexican dishes and cocktails, enjoy a healthy morning smoothie at The Vault Coffee & Juice Bar or relax by one of two lovely outdoor heated pools with a refreshing cocktail in hand and tasty treat from the Poolside Menu. 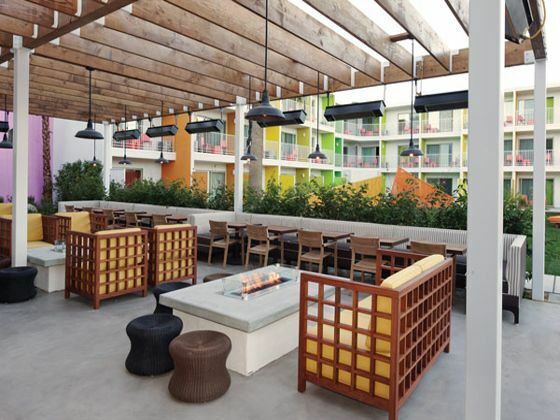 Situated in Old Town, this contemporary hotel is just 6 minutes walk from thr Scottsdale Centre for the Performing Arts and within three blocks of over 109 restaurants, shops and galleries. 15 minutes drive from Phoenix Sky Harbor International Airport. 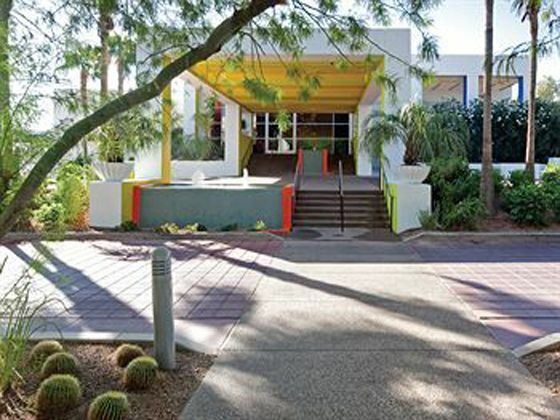 The hotel is located in the Sonoran Desert, just blocks from Scottsdale Fashion Mall and Old Town Scottsdale. At FireSky Resort & Spa, you'll know what it means to get away from it all. 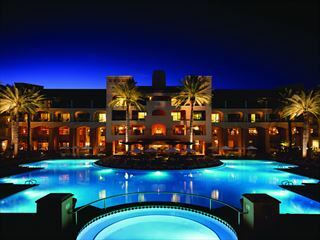 With an incredible backdrop of the Sonoran Desert and the McDowell Mountains, this sophisticated resort offers luxurious amenities, including a gorgeous Water Playground, a relaxing spa, indulgent restaurants, and a sweeping golf course.